I’ve been with AT&T for over 5 years, since the iPhone originally came on their network. Every few months, I like to call up my various utility providers, like AT&T, and negotiate a rate decrease. Don't forget that you can get many fees waived just by asking. There are many options when it comes to cheaper cell phone service. Republic Wireless has cellular phone plans starting at $10 a month for unlimited talk and text plans and $40 for unlimited talk and text plans with 4GB of data per month. T-mobile offers unlimited talk, text, and data starting at $50 per month for 500mb of high speed data and up to $70 per month for unlimited high speed data. T-mobile has even started offering to pay for you and your family’s early termination fee on up to 5 lines. You can see a list of many other cheap cell phone service providers here. These companies lease wireless telephone and data from major cell phone networks, and package it for cheap. 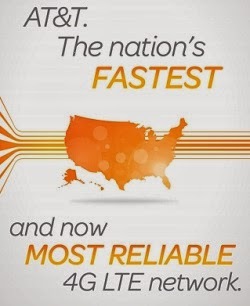 I have stayed with AT&T because in our location, AT&T provides the most reliable service and fastest internet connection. Because I am on call for my company one week each month, I need to have the best coverage possible, no exceptions. My company kindly subsidizes up to $100 a month for my cell phone bill, and I am responsible for paying any amount over $100. Me and my wife have been on a currently unlisted AT&T plan which includes 700 minutes of anytime calling. This costs $60 for the first phone and $10 for the extra line. We are also each on a 3gb data plan for $30 each for 2 data plans. We are also on a pay per use text messaging plan. Our monthly bill (before taxes) has been $130 ($60 + $10 + $30 + $30). I learned a while ago that there are many apps that allow us to text and instant message for free using our data plan and not our text plan. Using free messaging programs saves us $30 a month for the useless (to us) “unlimited texting” plan that AT&T offers. For free text programs that use data instead of text messages, look to Kakao Talk, Google Voice, or WhatsApp. If you’re an iPhone user, you probably already know that messaging other iPhone users with iMessage is free. I have found that we have never gone over 2GB a month for data usage, even though we are constantly browsing the web, downloading apps, streaming radio and music. Most people simply don’t need those expensive unlimited data plans, and yet they still pay for it. Last week I decided it was time to negotiate another rate decrease on my cell phone bill. I dialed 611 on my phone to call AT&T. Then I hit the prompts that took me to “cancel or close account.” Don’t worry, clicking on this prompt won’t automatically cancel your plan, you will be directly transferred to a customer service specialist at the retentions department. I explained to the rep that “I have been a customer of AT&T for many years, and have even recently added my wife to my plan. However, in this economy, I’m just trying to save money for my family. I am thinking of leaving AT&T for T-mobile since they offer much cheaper rates and will even pay our early termination fee. What incentive can you offer me to stay with AT&T?" The rep tried to low ball me a few times by offering me more minutes, or free unlimited texting for 6 months. I kindly responded that “I barely use my phone to make phone calls” and that “I don't want any text messaging plan, that's why I canceled it a few months ago.” I told the retention specialist that I simply wanted a cheaper bill or I was going to look at other cell phone providers. The rep then offered to lower our bill by $20 to a 450 minute shared phone plan. We could keep our data plan the same at 3GB data for each person. To offset the reduced amount of minutes we had, the rep then added 5,000 rollover minutes for us to use this year. The rep paused for a moment and then gave me an offer I could not refuse. First he offered me $20 off our bill by lowering the plan from a 700 minute plan to a 450 minute plan with 5,000 extra rollover minutes. Then he offered me a $10 courtesy discount off our bill for the next 12 months. Finally, the rep threw in the first month free, an instant $115 statement credit to the account. Accepting this entire offer would not extend our contract. AT&T sent me a bunch of text message confirmations and then gave me a $115 credit to my account. My new bill is now $100 before taxes. $50 for the shared 450 minute phone plan, $30 for each data plan for us, minus the $10 courtesy statement credit for 12 months ($50 + $30 + $30 - $10 = $100). I haven’t received my first bill yet, but I’m expecting the bill to be around $115 to $120 a month after taxes. My phone bill is still kind of expensive, but I'm not complaining since AT&T offers the best service in our area. My company reimbursement of $100 a month towards our cell phone bill makes this deal even sweeter. Whether you have AT&T, Verizon, T-mobile, Sprint, or another cell phone provider, go ahead and call to negotiate your rate plan. Remember, you want to get transferred to the retention department where the customer service representatives will do what they can to keep you as a customer. My 15 minute phone call saved us an instant $115 and will continue to save us $30 per month for the next year. This will save us a total of $475 off our cell phone bill for this year! And by this time next year, I’ll give customer service another call to see if I can negotiate another rate adjustment. Look at your cell phone bill. Is it too expensive? What are you going to do about it?